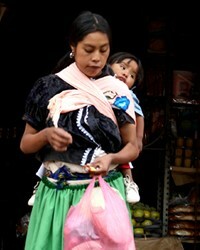 Overview: The Purepecha of Mexico, numbering 185,000, are Engaged yet Unreached. They are part of the Other Central American Indigenous people cluster within the Latin-Caribbean Americans affinity bloc. This people group is only found in Mexico. Their primary language is Spanish. The primary religion practiced by the Purepecha is Roman Catholicism, the world's largest Christian branch.